HK21 – A work of art. 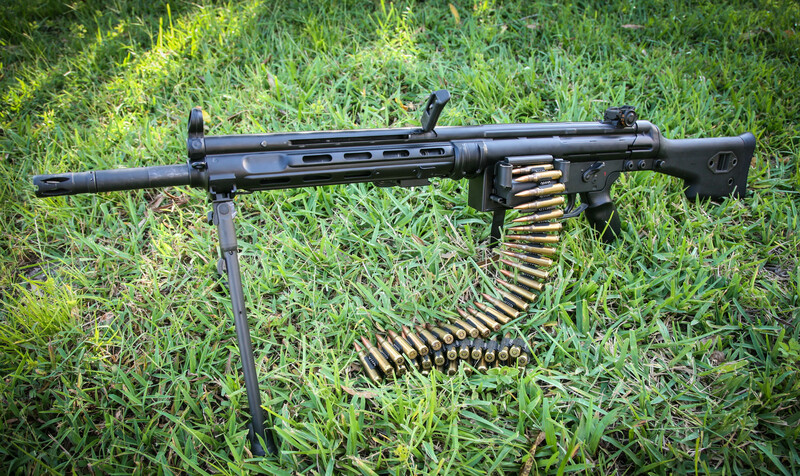 One of my holy grails in belt-fed guns is the HK21. A good friend of mine has acquired one of these beauties recently, and while the sear pack is in the process of going from dealer to dealer, the rifle itself was transferred with a semi trigger pack as a Title I firearm. Fortunately, it resides in my safe for a while until the owner comes around to claim it. I took the opportunity to take a closer look at it. Whilst not 100% familiar with the differences in 21 models, I know that this is a non-E model, as it has the slide-out feed tray vs. the swing-down version of the 21E. 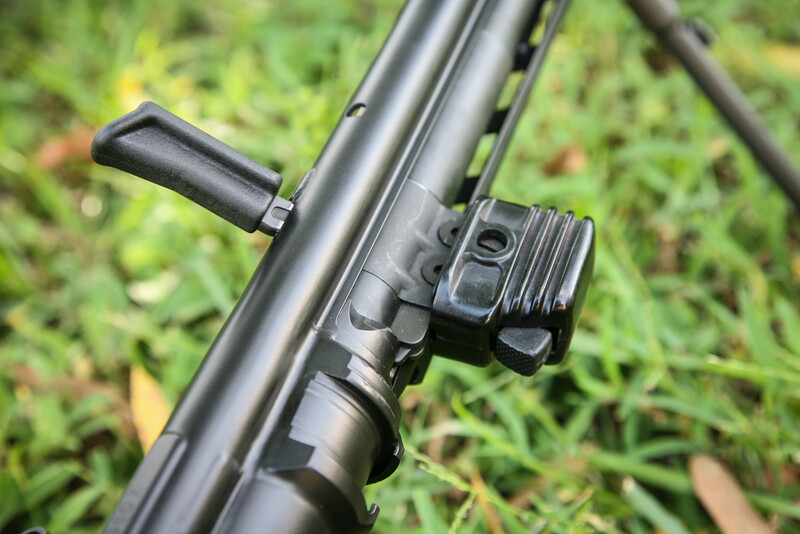 The rifle is clearly based on the G3 receiver, with hefty reinforcements in place to keep things together. 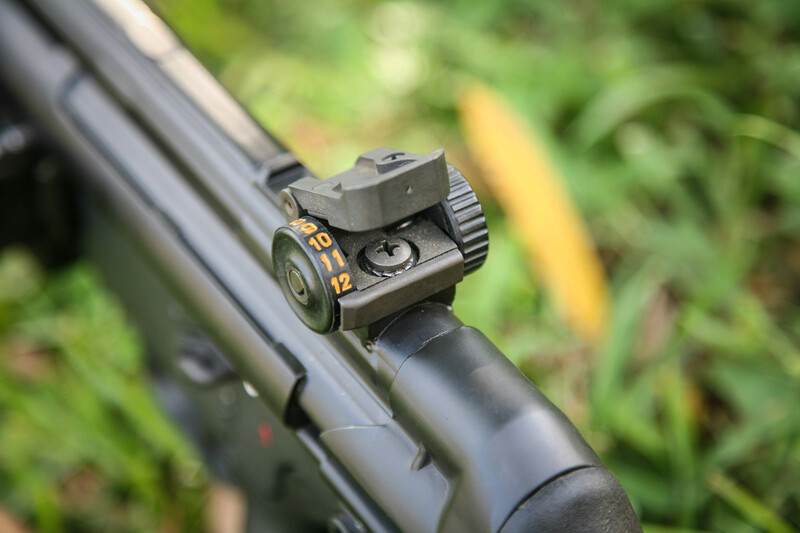 Functionally the 21 is very similar to the G3, rounds come in below the bolt and strip forwards through the link into the chamber. Technically it’s possible to get a magazine adapter and have it run from a normal HK magazine. 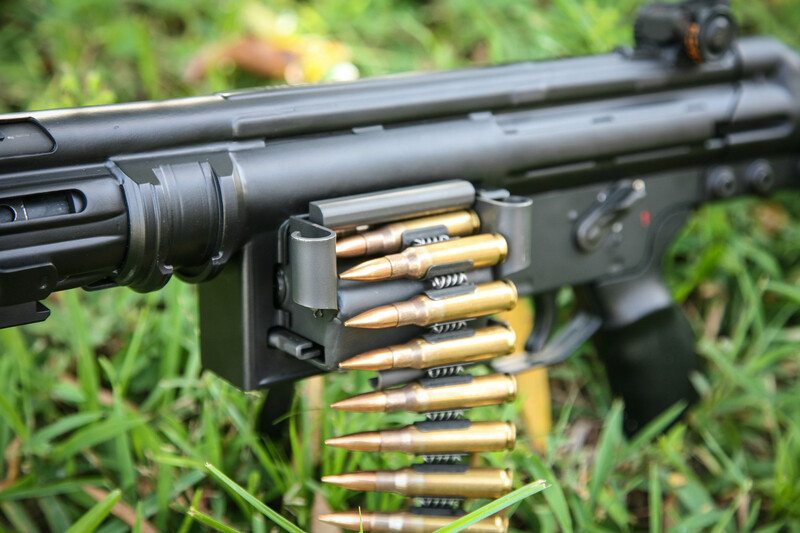 The rifle is chambered in 7.62×51, which in full auto makes you appreciate the 18 Lbs of the gun, although it still makes you very aware of what you’re doing. 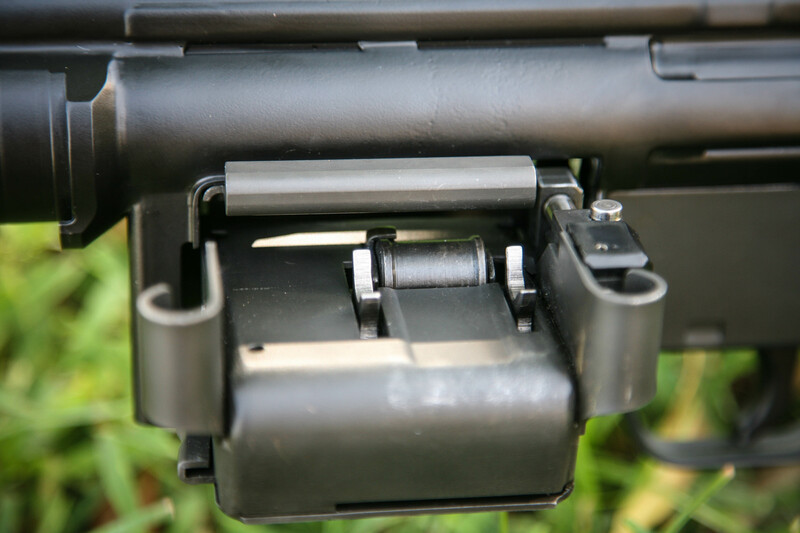 Inverted belt allow the rounds to be stripped out from the bolt riding above in the forward cycle. Quick change barrel control. Unlatch, rotate up, and the barrel is free. Stay posted for a future range report! This entry was posted on July 28, 2013 by Dan. It was filed under .308, Beltfed, General, HK, Interesting firearms, Machinegun, NFA and was tagged with Beltfed, CLASS 3, HK, HK21, NFA.